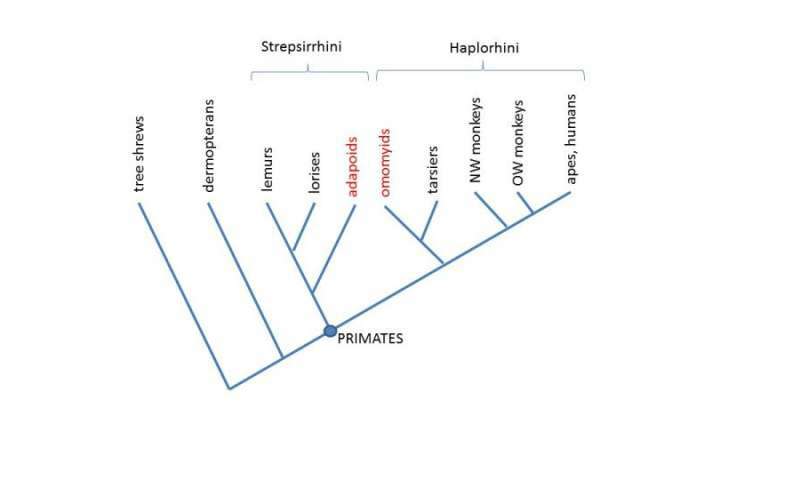 "All other primate bones found so far around the world clearly belong to one or the other of the two primate groups, called clades: Strepsirrhini and Haplorhini," says Kenneth Rose, Ph.D., professor emeritus in the Center for Functional Anatomy and Evolution at the Johns Hopkins University School of Medicine. "But many of the Gujarat bones show features that do not clearly belong to one clade or the other." The newly discovered group of 25 tiny bones, all from somewhere below the neck of the animals, are younger—some 54.5 million years old—but considerably more primitive than the oldest known primate fossil, Teilhardina, which first appears in deposits at the beginning of the Eocene, almost 56 million years old. They are also more primitive than a relatively complete skeleton of the primate Archicebus, found recently in China and dated to about 55 million years ago. Their analysis, Rose says, suggests the Gujarat primates are close descendants of the common ancestor that gave rise to the adapoids and omomyids found on the northern continents. But the Gujarat primates date back to a time when what is now India was a drifting land mass—isolated from the northern continents and inching its way toward southern Asia. "These are the best preserved and most primitive bones we have from the first 5 million years of primate evolution, but there's not enough evidence currently for us to figure out when these primates reached India or where they came from," says Rose. 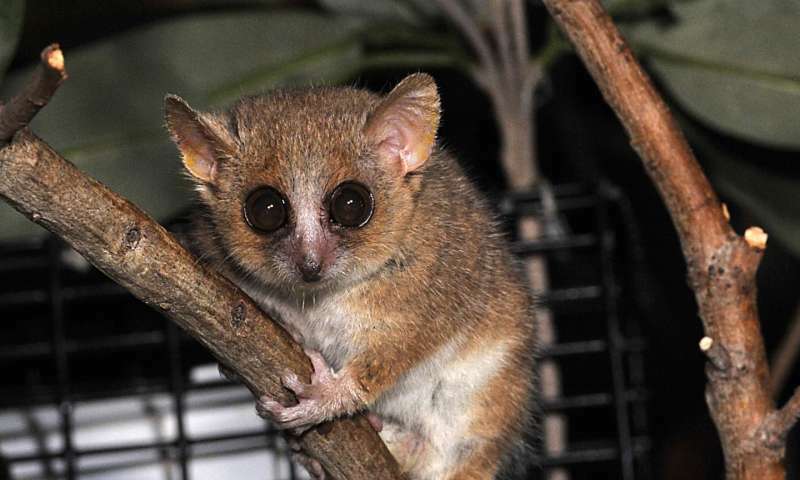 "They are similar enough to the early primates found on the northern continents to indicate that their ancestors migrated between the northern continents and what is now India—but in which direction isn't clear." Rose says there are several possible scenarios to explain what they've suggested, but all his team can say with high confidence now is that the tiny primates occupied equatorial India prior to its collision with Asia. Even though the researchers don't have enough bones to reconstruct a whole skeleton, the bones weren't embedded in rock so they could be thoroughly examined from every angle, providing insights into the evolution of primate anatomy. Because of such features, Rose and his colleagues aren't sure which clade some of the bones belonged to, suggesting that they represent the most primitive primate anatomy known. 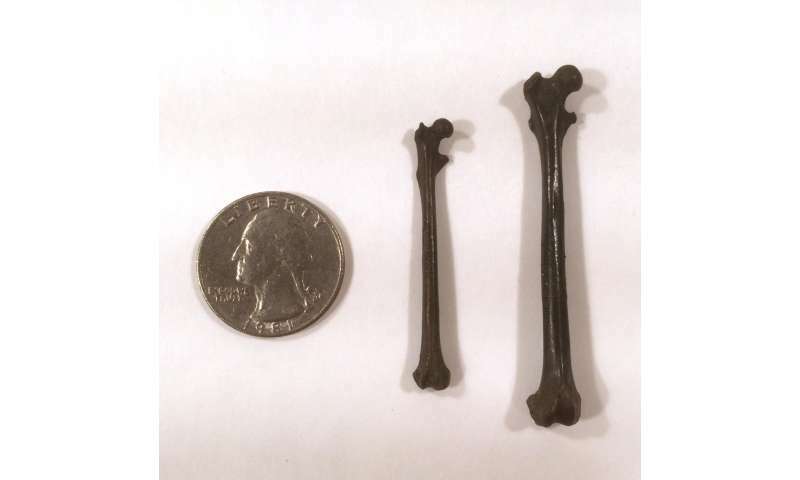 But a few of the bones do show the beginnings of features that would later distinguish the clades, like deep grooves where the thigh bone connects to the knee, which helps animals like lemurs to leap. Rose believes it's possible that differences in hind limb-based movement led to the primates' divergence into two clades. "Considering everything together, we think the most likely scenario is that more primitive primates arrived in what is now India and retained their primitive, generalized skeleton, while their relatives on the northern continents continued to evolve," says Rose. "Hopefully future skeleton finds will make it all clearer."